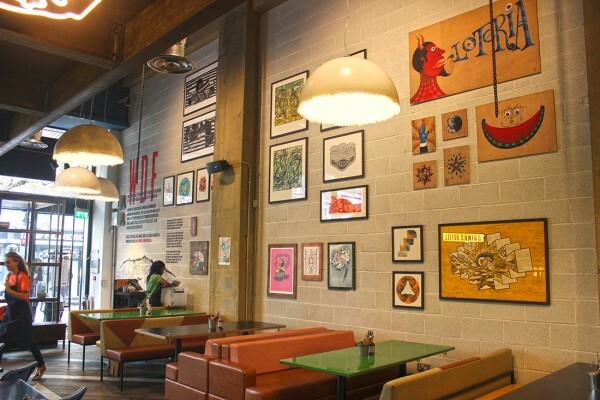 Recently I’ve had the great opportunity to work as an art consultant for DF Mexico, which is the young sister company to my clients Wahaca. 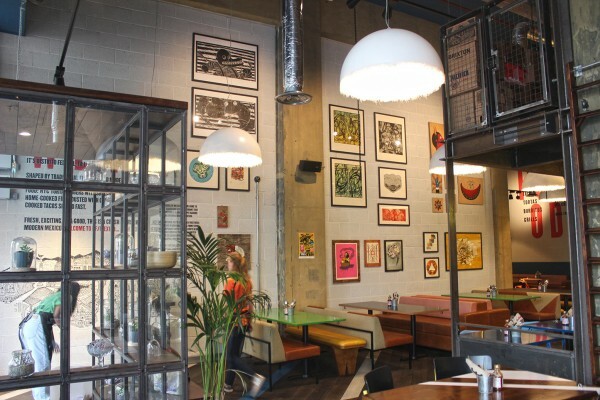 The ethos behind it is similarly to promote Mexican street food but with a informal diner-style experience – taking some influence from North American/Tex Mex cuisine and food associated with DF Mexico – aka the federal district of Mexico City. As part of their mission DF Mexico are keen to make ties with and promote cultural projects in Mexico City in particular with young artists. In partnership with my wife Olivia Connelly we suggested prints and originals to display by up and coming Mexican artists such as Sanez, Saner, Smithe, Uriel Marin, Neuzz, Daniel Acosta, Daniel Berman, Kwamo and Dr Alderete to name a few… These form the beginnings of a permanent collection. 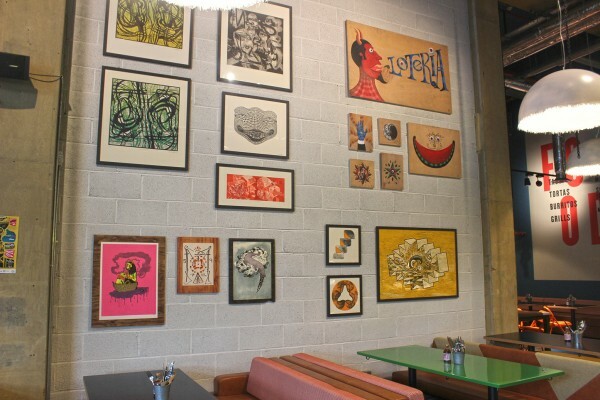 For our collection we also approached Le Super Demon (who I had worked with at Wahaca Manchester) to produce a special series of 6 paintings on wood inspired by traditional Mexican Loteria cards. Since then we commissioned artists La Piztola to create four original pieces – painted on re-purposed floorboard some of which are now on show at the original DF Mexico at the Truman Brewery. We are currently looking to expand the collection and are talking to up and coming Mexican artists about new pieces for 2016.